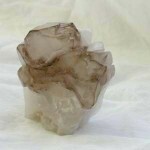 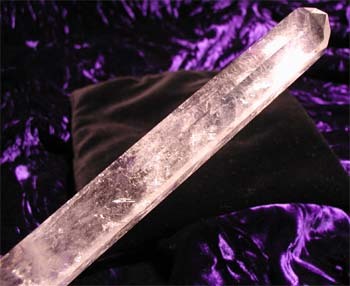 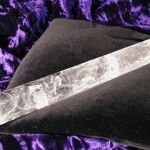 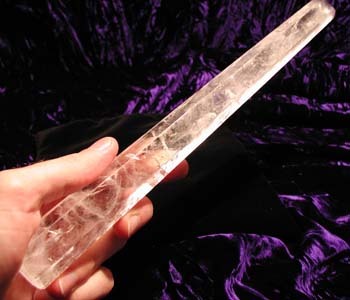 This beautiful clear quartz wand is almost straight edged, tapering only slightly to its tip. 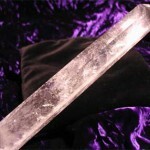 It has some reflective message plates and mists, but it is clearer than the photos indicate. 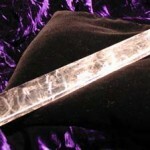 There are also some rainbow message plates. 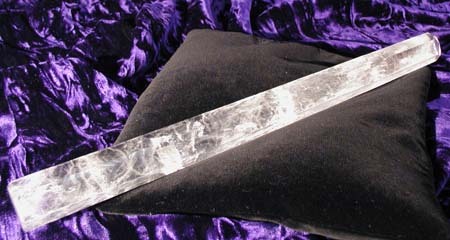 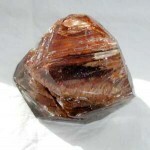 Size: It is almost 13 inches long, and about 1 by .75 inches at it’s base.